This is my fourth article in a 6 part series of articles all about my recent trip to Ireland this past June. My other posts in this Series include Ireland Part 1 Travel Logistics, Ireland Part 2 Awesome Hotels and a Crappy Rental Car Scheme, Ireland Part 3 Restaurants and Activities in Dublin, Ireland Part 5 Restaurants Activities in Killarney & Part 6 Restaurants and Activities in Galway. 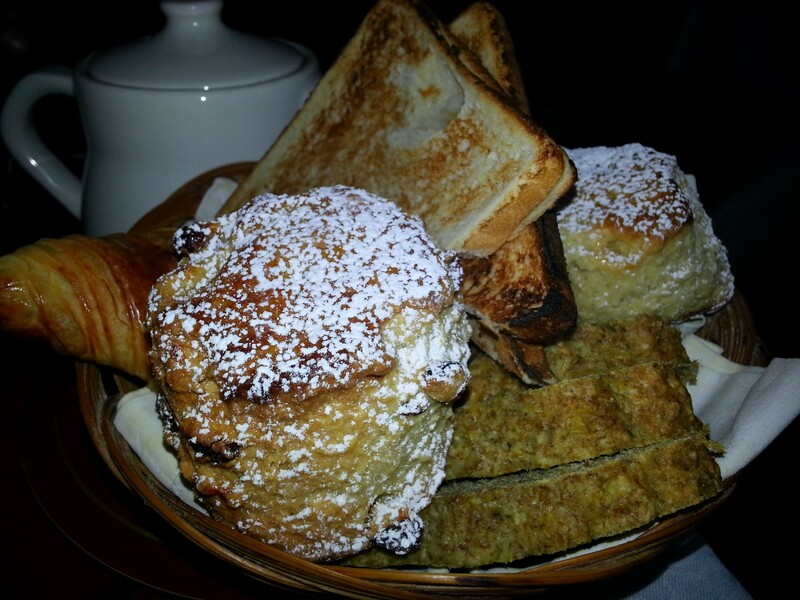 If you are planning a trip to Ireland these are some of the Restaurant and activity recommendations I have based upon my recent visit. Ireland is such a beautiful country and there is so much to see! 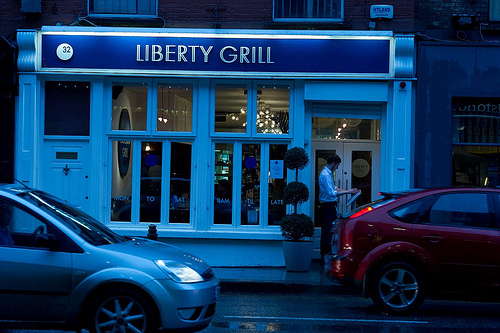 We had heard that restaurants close very early in Cork and it was a weekday, so we were concerned that we may not find anything considering it was 8:45, but we ended up stumbling upon a gem called, “The Liberty Grill.” I literally had one of the best lamb burgers I have ever had at this restaurant! For our dinner we had an awesome crab cake to share that had amazing flavor that melted in your mouth, my lamb burger of course, a local sea food variety, and a slice of key lime cheesecake. Every item I mentioned was to die for, but something interesting to note was that the cheesecake has a different consistency than it does in the states. It is more like a pudding and we noticed throughout all of Ireland. I am cool with it though because it tasted good and I am sure it is a slightly less fattening than United States cheesecake. I hear one slice of cheesecake has about 1500 calories and 75 grams of fat…I feel like I gained weight writing that… 🙂 I also must say they have a large variety of vegan options on their menu as well! 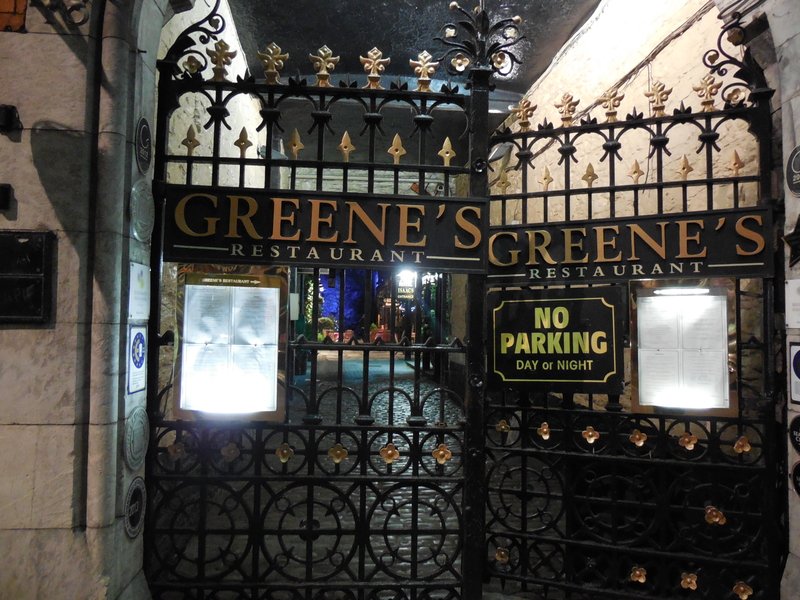 On night two in Cork we went to a restaurant called, “Greene’s.” We actually had a difficult time finding this place because it was a small journey from our hotel, but when we found it we were quite satisfied. It was well worth it! This place had fabulous food and a gorgeous ambiance outside with waterfalls and all. It should not have been difficult to find, it was probably just us because we were so hungry. Greene’s is located in Hotel Isaac’s in the heart of the city. At Greene’s we started out with one of the most unique appetizers that tasted divine. It was deep fried Ardsallagh Goat Cheese on Tomato Marmalade with Honey & Syrup. When it was gone, we were craving more! For our dinner plates we had Fillet of Wild Cod & Gambas Prawns Morteau Sausage, Butter Beans, Winter Kale, Roast Chicken Juices and a seasonal scallop plate. There were also some delicious cocktails as well, such as the one shown in my pictures and it kills me that I cannot remember the name of it. Garnish House was the first place we resided in Cork and when I hear “Bed & Breakfast” at least here in the US, I think breakfast is included. Do not be fooled in Europe…I quickly learned that if you decide to have breakfast at a Bed & Breakfast, there is an additional charge…I normally am not awake for breakfast on days I do not have to work, but I got up bright and early to enjoy this one (and went back to sleep after eating due to a full night of pub crawling 🙂 This breakfast was awesome because there were several items at the buffet to select from in addition to ordering our entrees. Everything was cooked to order and completely fresh. The selection of fresh home cooked pastries and breads was delectable and they let us take some back to our room to snack on later. For entrees we had the Croque Monsieur. My only qualm was that I could not finish it, but man oh man it was tasty! 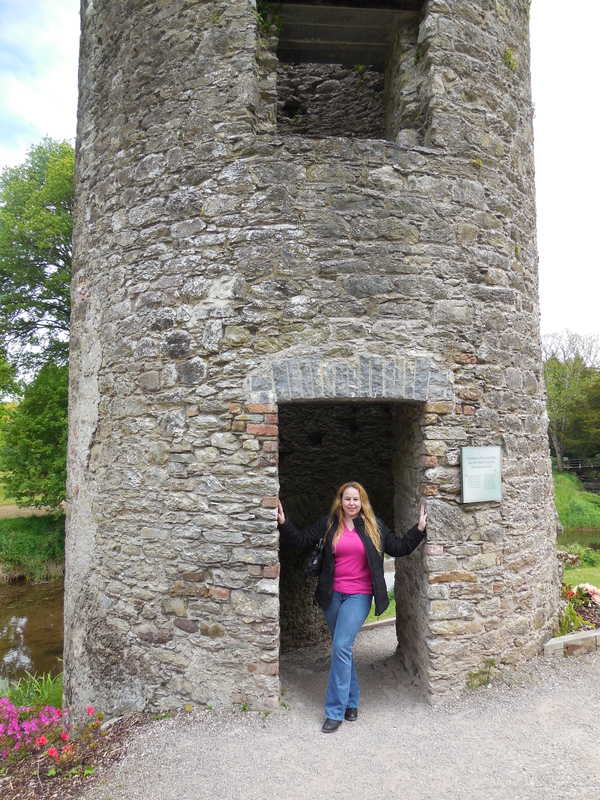 While in Cork, everyone must go to kiss the Blarney Stone, but I will talk about that later. I only bring it up now because this pub is in walking distance of the Blarney Stone and it was recommended to us by a local girl in her 20’s we met in a pub because she was a waitress there. This place was pretty authentic and delicious! I recommend the fish and chips! This is somewhere I have always wanted to go and I when I arrived at the gorgeous grounds, I was full of excitement! When arriving at Blarney Stone there is a sign that tells you that when you kiss the Blarney Stone, you are to be given the “Gift of Gab,” which means it will make you be able to talk a lot. For those of you that know me, I am definitely already blessed with this gift, but I kissed it anyway and man oh man was it ever scary!!! When you lay back to kiss the stone and are supported by the same man that has been cleaning the rock before each kiss for a good 20 years you literally feel like you are laying back to fall off of the castle that is a good 75-100 feet tall! See my pictures for details. Blarney Stone Kissing was Scary!! The Poison Garden was an awesome place to visit and is located on the grounds of the Blarney Castle and the famous Blarney Stone. 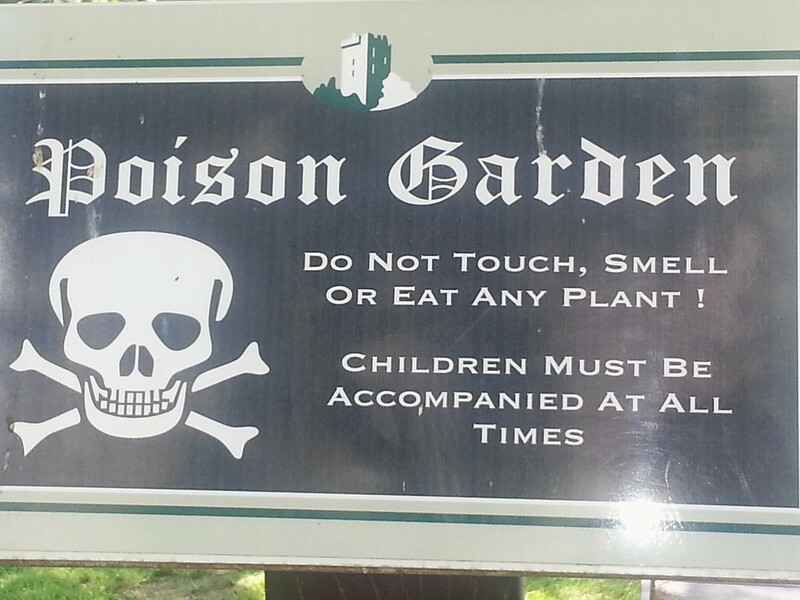 I was not aware of the Poison Garden until we were there and I was told there is another one in England as well. The Poison Garden is housed with many plants and flowers that when touched, smelled or tasted can either make you extremely ill, hallucinate or even make you die a violent death. I could never see the United States allowing a garden such as one of these. Check out a few of my pictures here. This place I highly recommend, but I admit I was a little scared walking through the garden because if I tripped and fell in a plant, I would not know what could happen. If you go here with your kids, make sure they are by your side holding your hand at all times!! Cork City Jail or Gaol as they call it in Gaelic is a fascinating tour of history and you get to learn about the different prisoners that were there. The Gaol actually has the former list of prisoners, so you really have the opportunity to familiarize yourself with the prisoners and their past crimes. It is a tour that made me sad because there are many people and even children below the age of 10 that were imprisoned and beaten for doing crimes like stealing bread. They have life-size statues of some of these past criminals and old uniforms. You can even go into the old cells and sit where the prisoners used to sleep…very eerie! This market reminded me of a farmer’s market here in the US, but much larger in size and it is an indoor market… I am assuming this is because Ireland has more harsh weather than here in California. There was a large array of fresh produce, meats, dairy, breads, and even wines, and chocolates. My favorite section was definitely the cheese because I am a cheese fanatic and they actually allow you to sample…This was simply heaven! We also got to eat in the restaurant housed within the English Market which has fresh food prepared for you while you wait based upon what is plentiful in the English Market! This is a great place to go! This is one last place I must give mention to! This was one fo the most awesome clubs/pubs/wine bars I have ever been to! 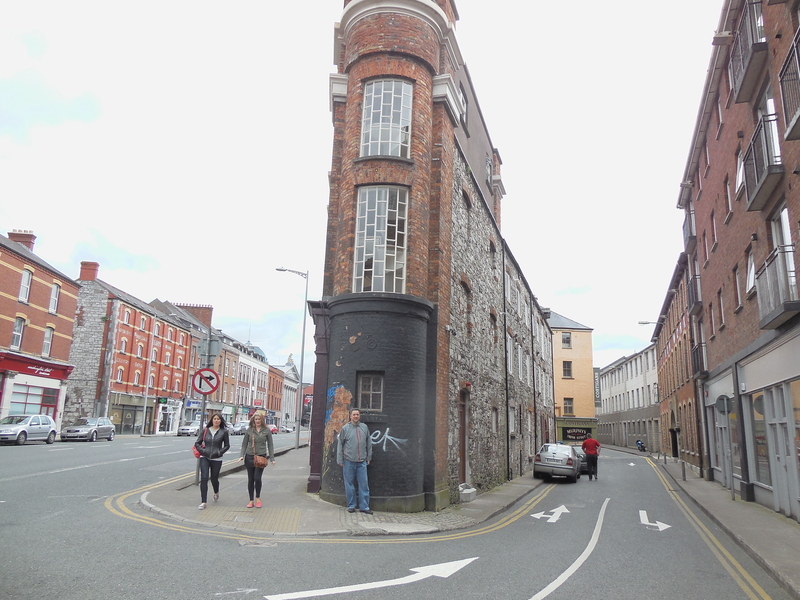 We had so much fun at this place we went there both nights we were in Cork! They have a wine bar, a techno dance floor, an 80’s & 90’s music room, live music and a large patio. There is a little something for everyone and we enjoyed hanging out everywhere in this place! Must go to Crane Lane!! 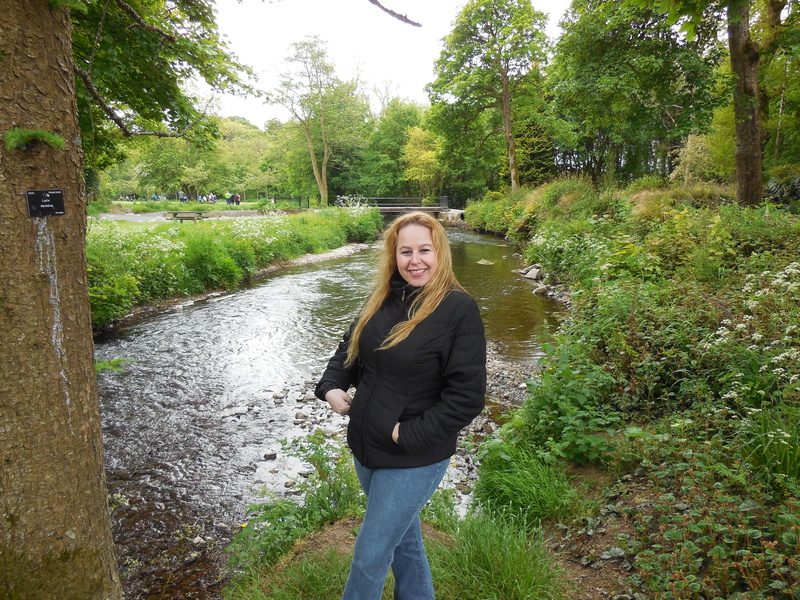 I hope you have enjoyed hearing about my journeys in Cork City, Ireland and please stay tuned for posts 5 & 6 in which I will share about restaurants and activities in Killarney and Galway. If you missed any of the rest of my Ireland Posts in this series, please check them out. They include: Ireland Part 1 Travel Logistics, Ireland Part 2 Awesome Hotels and a Crappy Rental Car Scheme, and Ireland Part 3 Restaurants and Activities in Dublin, Ireland Part 5 Restaurants & Activities in Killarney and Ireland Part 6 Restaurants & Activities in Galway. Please share your thoughts below and let me know if you have ever been to Cork what your favorite places to visit were. OMG! I so want to go there! It is on place my husband would LOVE to go. Your pictures are amazing! Thank you for sharing them. I am going to share this post with my husband. He will absolutely love it! I really like your journey to Ireland.. I do hope to get there one day.. The guy holding you to kiss the blarney stone is probably strong like an ox..
I’d LOVE to visit Europe one of these days and Ireland would def be on the itinerary. However, I don’t enjoy going to restaurants because I trust my own ingredients more, and as a college student, I’d rather not pay much for a good meal. Judging by your pics, those foods look delish and wholesome but would you mind sharing their costs, too, so that we can use your post as reference : )? What a wonderful explanation! I really would love to go to Ireland some day. I love all the food and restaurants you described…yum! I have always been fascinated with prisons and the criminal mind. It is sad that the children were imprisoned though. Sounds like an amazing place. I would love to go to the Poison Garden since I’m into plants. 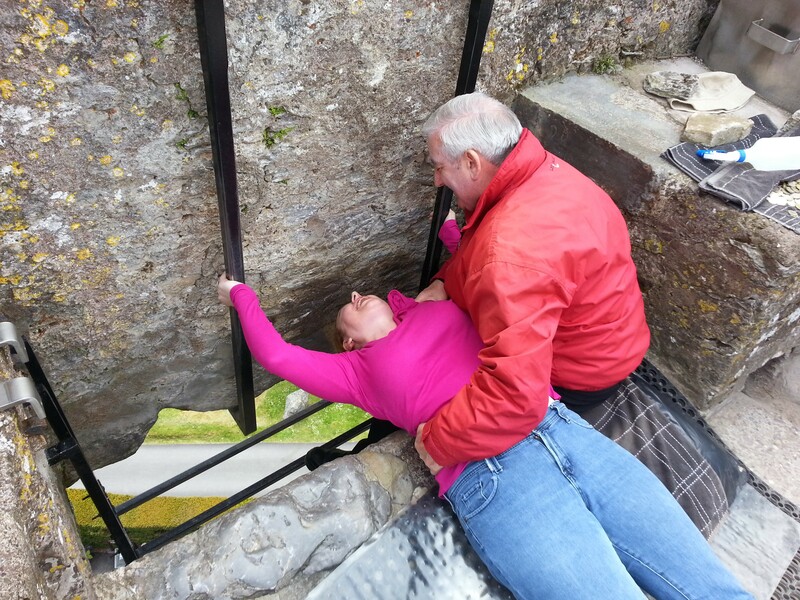 Kissing the Blarney Stone looked a little scary. You would totally love it Deborah! Just do not get too close to any of the plants! I never even knew a poison garden existed until we were there! Cool location with nice recipe! I would like to visit these places. Thanks Gerald:) Ireland is awesome! I would really like to visit these amazing places. You have a great job! What great pictures of some amazing food. I would like to travel to these places too! That’s great that you kissed the Blarney Stone! It looks like you had such a great time! I am always so jealous of the places you get to visit! Thanks for the comment Jennifer! You should definitely go to Ireland one day! It is gorgeous!